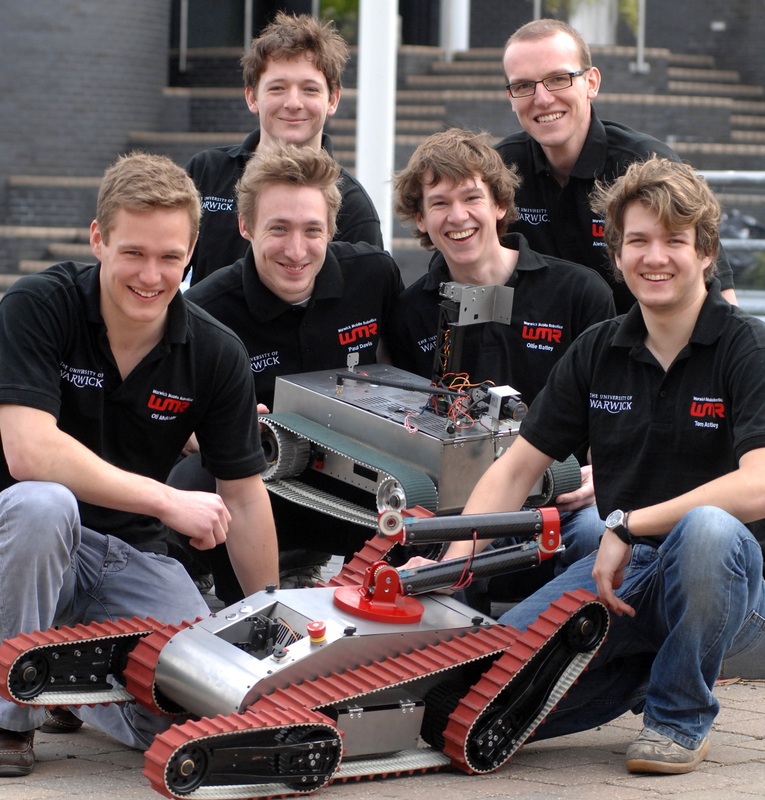 University of Warwick students have won the RoboCup Rescue Championship in Germany. 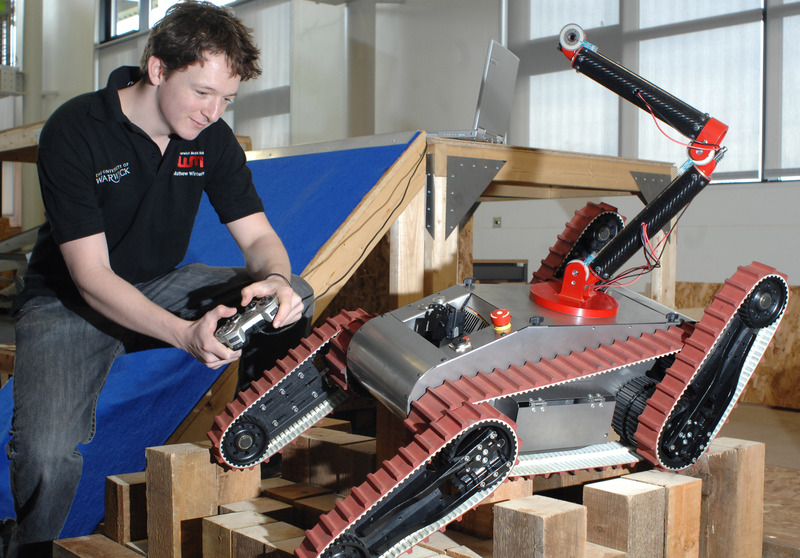 The students developed their rescue robot in a team project bringing together Engineering and Computer Science students at the University of Warwick which entered the 9th RoboCup German Open in Magdeburg (April 15-18 2010). The Warwick student team won first place overall and best in class for mobility. The robots are designed to crawl over and through difficult terrain or such as destroyed buildings in search of trapped survivors. The German competition put the robot through its paces in a simulated disaster environment which requires robots to demonstrate their capabilities in mobility, sensory perception, planning, mapping, and operator interfaces, while searching for simulated victims in difficult environments. One of the Warwick team's competition winning tricks for their rescue robot was their design of a robot arm which has “4 degrees of movement”. This gives that arm more turning flexibility than even the head of an owl and allows the arm to turn and weave in tight situations and change its orientation without having to move the whole robot. Notes for Editors: The teams sponsors include The Maxon Motors, Harwin Interconnect Design & Manufacture, ITCM – (Innovative Technology for Custom Machinery) Warwick Innovative Manufacturing Research Centre (University of Warwick), WMG (University of Warwick), University of Warwick School of Engineering, Computer Science Department University of Warwick, and RGPhoto.